We made it our mission to make heart health easier and better for everyone. Making health data more accessible is certainly a key premise to achieve this mission, and today we’re excited to announce our latest integration of the Qardio App with Amazon’s Alexa. 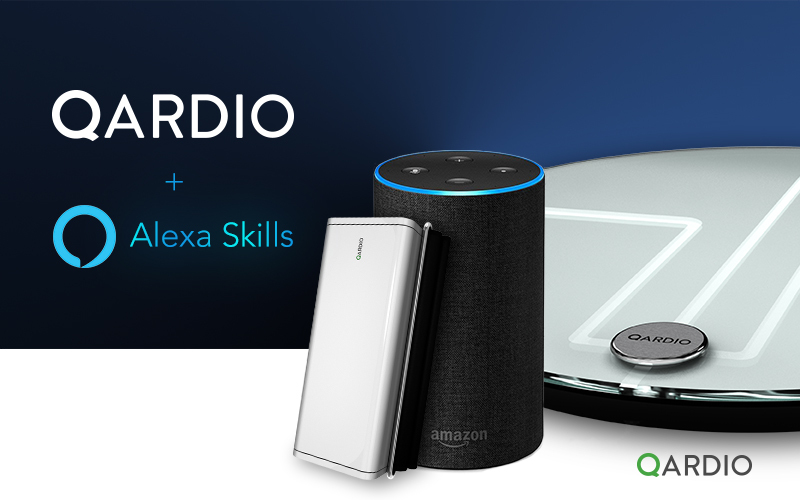 Qardio’s Alexa Skill enables voice-activated access to your health data, making it even easier to track your health with QardioArm or QardioBase. The new Qardio Alexa Skill for Amazon Alexa is available on all Amazon devices that support Alexa including the Amazon Echo and Echo Plus, Echo Spot, Echo Show and Fire tablets. You can also use Alexa for Qardio with your Echo Dot if it’s connected to bluetooth speakers. Once enabled, just say “Alexa, ask Qardio what my blood pressure is.” or “Alexa, ask Qardio what my weight is.” and Alexa will retrieve the results for you. The Qardio Alexa Skill is supported for iOS, Android, Kindle Fire app users of QardioArm, QardioBase 2 and QardioBase. To learn more about how Alexa works with the Qardio App, visit our support pages here. If you require help connecting your Qardio App with Amazon Alexa, you can also find details on Amazon help site.